Are you looking to sell or buy a business with less than $50 million in annual revenue? 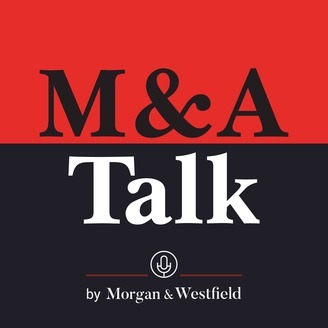 At Deal Talk we bring you exclusive interviews with experts in business sales, valuations, mergers and acquisitions and more. We talk to the most experienced professionals in the brokerage industry to uncover their secrets. Each podcast is packed with helpful, practical information on topics such as growing a business, drawing up exit strategies and preparing a business for sale. Brought to you by Morgan & Westfield (www.morganandwestfield.com), a nationwide leader in business sales and appraisals. 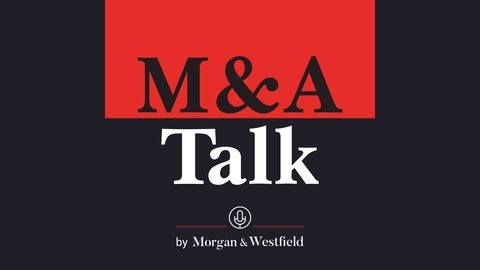 You can access a full transcription of all Deal Talk podcasts at: www.morganandwestfield.com/deal-talk. As ready as they might be for their PuroClean franchise’s sale mentally and financially, Ed and Sonia Ketchoyian soon found out that preparation is multifaceted and that there is one aspect in selling that they were not ready to handle—their emotions. “This is more than just a business transaction, so there are certain emotions that came to play at the end that I wasn't quite expecting,” Ed said of their business, which specializes in emergency restoration services for residential and commercial properties damaged by flood, fire, and mold. Having run the business for over eight years, Ed explained that an owner is bound to have strong feelings when exiting a business he has put a lot of time and effort into for years, regardless of how the business has been doing. “Once you get into a business as an owner, your emotions become involved because it's just the nature of small business ownership. You end up putting a lot of yourself into it,” Ed said. Breaking the news of the sale to the employees became especially tough for Ed because he could not reveal that they will be working for a new owner until they were certain that the deal will push through. “That was difficult. We were working with the owner for months and we couldn't reveal anything that was going on... [until] we were absolutely certain the deal was going to happen,” Ed recalled. Less than a week before the closing date, the couple told their employees, who did not receive the news positively. Ed and Sonia had to assuage their fears and reassure them that the new owner did not want to change anything and that they were not going to lose their jobs. “Everybody was very surprised. ‘Shocked’ is a strong word but they really had no idea that we were in the process of selling… Change, in general, is not a welcome thing,” Ed said.